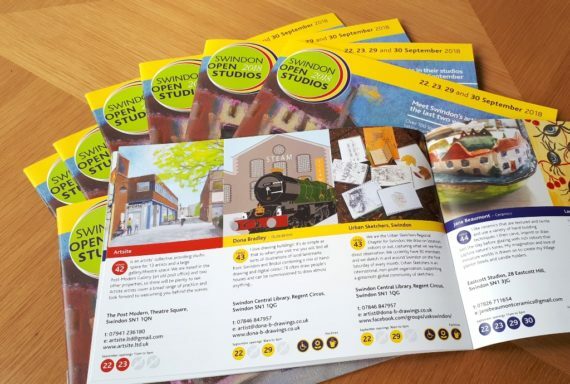 Swindon Open Studios is an annual event showcasing local artists and what they do in studios and public buildings around the town. I love drawing buildings! It’s as simple as that so when you visit me you will find all sorts of illustrations of local landmarks from Swindon and Bristol combining a mix of hand-drawing and digital colour. I’ll often draw people’s houses and can be commissioned to draw almost anything from boats to bridges, cars to castles, trains to temples. I have also started to incorporate my illustrations onto other products and you can find my range of Swindon things on sale all year round at Swindon Central Library. During Swindon Open Studios you have the chance to buy directly from me and to talk to me about any commission ideas you have. You can also see my work on display at the Brunel Centre, Swindon and John Lewis Home, Swindon.